The project consisted of the redevelopment of 3,716 m2 of prime office space in London’s West End. 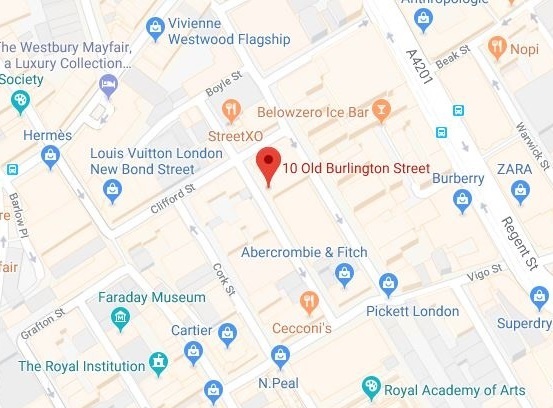 The five storey office block located on Old Burlington Street was fitted out to Cat A Standard on all floors. Our works consisted of the installation of SAS System 330 Linear Ceiling system to all the office floors including all integrated services. We also constructed all core walls and wall linings using British Gypsum systems incorporating shadow trim details to all recessed skirtings and doors. In the reception area we installed areas of metal frame plasterboard ceilings incorporating recessed lighting trough details and sloping ceilings and also areas of STO – enhanced acoustic specialist ceilings. In March 2007 the final floor was let, just two months after completion and broke the record for the highest rent paid during 2006.